Many houses in Moscow are equipped with intercom. And rightly so - in the hallways are not heated in the homeless, not drinking beer young people and not hiding a thief. But sometimes there are situations where it is vital to get in another entrance. This is the easiest way to learn the entry code. The easiest way to learn a foreign intercom is to ask the inhabitants of an entrance under some pretext. For example, you just drove into the apartment, and the intercom code for the owner to find out forgot. Will tell you the code or not will depend on how good you are at bluffing. But if you look decent (helps formal wear), you do not stink per kilometer of booze and your speech is filled with words like, please, be so kind and do me a favor, then I probably will. 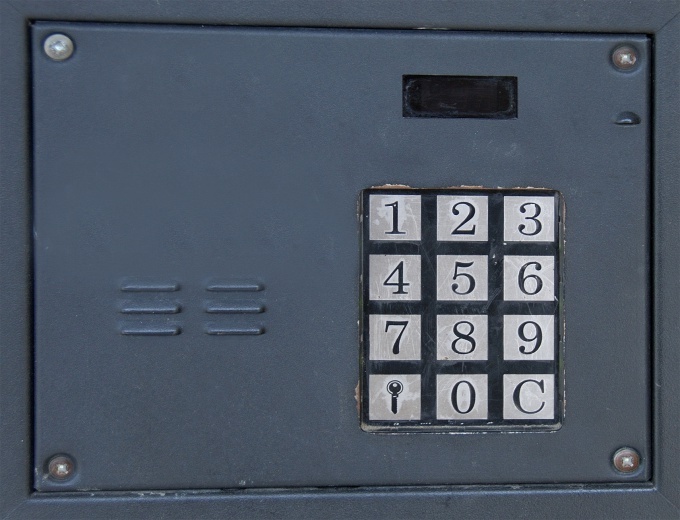 After all, the intercom code is not a secret code to the safe with money in a Swiss Bank. Remember that there is a special kind of grandparents that live in the capital entrances that I think that if you call code from the intercom, then sell the homeland to the Nazis. There are those who strive to hit you with his stick just because you came to their door. Such a confrontation is better not to join. Especially if they joined the brigade and were watching on a bench at the entrance (of course – in the summer, but there are those who are "on duty" and in the winter). Find another informant. For those who have good vision or have binoculars in conjunction with the patient, it may be advisable to wait for the next inhabitant of the entrance and peep combination of cherished numbers. But there are pitfalls. Visitor entrance can be a key or dial the number of the desired apartment and it will be opened. Be patient and wait for the next. Binoculars are best to use while in the car. Otherwise, passers-by can call an ambulance. Then caring nurse will put you in a long-sleeved shirt, tie and lucky you to where you certainly will tell a code from the intercom. Even not from one but from all entrances of Moscow. Method for those who have no binoculars or lame patience. Look for the alcoholic who must live on one of the benches in the yard. Just not the same as grandma, because alcoholics usually grandmas war. Give him a party job to know the entry code. The prize, you know, a half-liter stirred his soul (don't you) fluid. Depending on the state in which is your chosen tool, you over time to get cherished numbers, and in spite of grannies get into the entrance.